Liverpool welcomed Paris Saint-Germain to Anfield tonight for the first match between the two sides in this season's Champions League's group stage. Both sets of fans were out in full force, with PSG's travelling ultras causing havoc in Liverpool city centre. That was to be expected though, the real surprise came when the fans got into the ground. One fan, shirtless - obviously - revealed stickers on his torso that represented Crystal Palace's ultra group, the Holmesdale Fanatics. Why? Very good, sensible question. 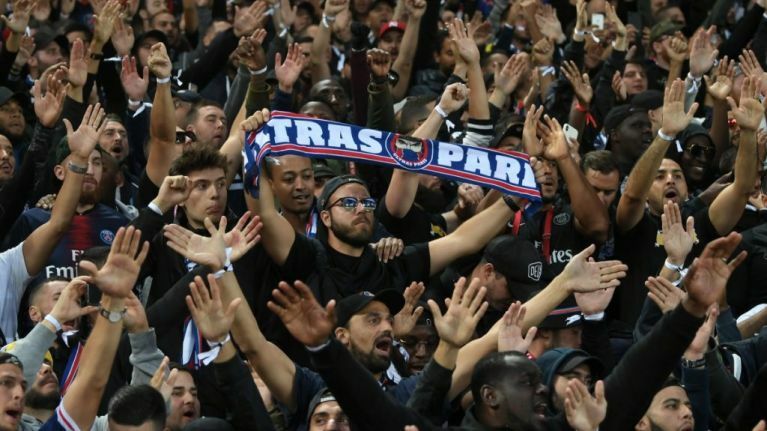 The PSG ultras have already shown their solidarity with the Palace fans this season, displaying a banner at one of their home matches at the Parc des Princes, which read "HF 05, No surrender". This related to the ongoing dispute between the Holmesdale Fanatics and Crystal Palace. During the summer a gentlemen's agreement was formed that would see the group move from the corner of the stadium into the centre. However, the club were not willing to move season ticket holders from the central block. Consequently, the Fanatics are now homeless inside Selhurst Park, dispersed around the ground.